BlacKkKlansman is based on the incredible true story of Ron Stallworth (John David Washington). In the early ’70s, Stallworth was the first African-American police detective to serve for the Colorado Springs Police Department. One day he picks-up the newspaper and finds an ad for the Ku Klux Klan. He decided this was the perfect opportunity to infiltrate and expose the extremist hate group. He calls the Ku Klux Klan, eagerly wanting to join. However, Stallworth couldn’t show up to the meeting with the Klan member. 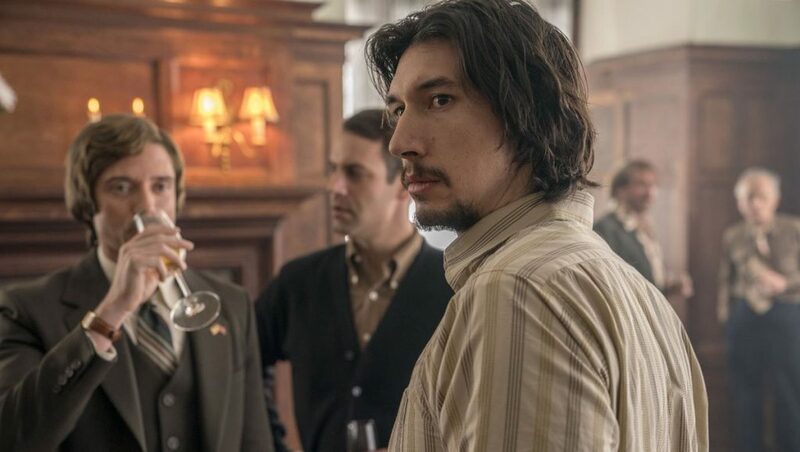 So he recruited a more seasoned colleague, who happened to be white and Jewish, Flip Zimmerman (Adam Driver) into the undercover investigation. BlacKkKlansman has the ingredients that make a Spike Lee film great: the right mix of anger and humour. Lee sets the mix of tones from the beginning with a hate-filled, commercial-like speech delivered by Alec Baldwin. Thanks to Baldwin’s dry humour and Lee’s talented camera work, this speech comes off as frightening and humorous rhetoric, making one question how baffling it could be that someone thinks that way. Then we are brought into the world of Stallworth and his dangerous and wild mission. Throughout his operation the tone shifts between horror and hilarity. The Klan members are comedic characters who resemble imbeciles, however they are also loaded with ammunition and have a violent agenda. What’s different about this Lee Film is that he takes his time and repeats its important message frequently. He wants audiences to know that this might be a Film about the past, however it relates to society today. There are many moments throughout where dialogue said by Klan members draw parallels to what’s currently happening. Lee states every parallel between the early ’70s and today with huge bright arrows so none will go unnoticed. When it comes to the performances, the entire Ensemble knock it out of the park. John David Washington is phenomenal as Stallworth. It takes a lot of talent to make something as wild as an African-American picking up the phone and telling the Klan he wants to join, believable. Adam Driver is fantastic as a man coming to terms with his Jewish identity, while going undercover as a Klan recruit. Washington and Driver play off one other seamlessly. Yet, one person that will amaze audiences is Topher Grace, who plays former Grand Wizard of the Ku Klux Klan, David Duke. Grace revels as the confident, stupid and dumbfounded Duke. It’s a role he was born to play. Overall, BlacKkKlansman is a wild and entertaining ride with an important message and spectacular performances. Universal Pictures Canada release BLACKKKLANSMAN on Friday, August 10, 2018.